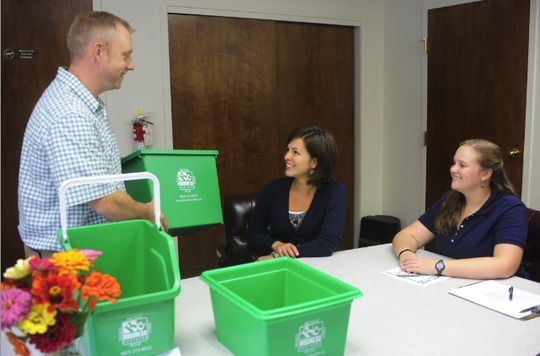 The ReBusiness Partners Program is designed to support a local business or organization’s efforts to reduce waste, increase recycling and composting, and adopt green purchasing practices. We worked with a few of our ReBusiness Partners and Thomas Hoebbel Photography to create a video promoting the program. It demonstrates how easy it is to participate in a waste assessment or reassessment and highlights some of the program’s success stories. What do committed ReBusiness Partners receive? Public recognition from the community for their efforts to help the environment. Why become a ReBusiness Partner? Reduces the amount of trash being sent to the landfill. Saves energy and natural resources. Could experience bottom line savings. Helps sustain the community in which we live. Complies with New York State and local laws. Any Tompkins County business or organization can become a ReBusiness Partner. Interested businesses are provided with a FREE waste assessment and follow-up report of recommendations to help reduce waste, recycle, compost and implement green purchasing practices. Once a business has met the following criteria, it will be invited to become a ReBusiness Partner. Demonstrate at least 3 activities in the areas of Reduce, Reuse, or Rebuy. For more information about the program, please contact us. Gimme Coffee – Cayuga St.
Gimme Coffee – State St.